Syakar Trading Company Pvt. Ltd., the distributors of Honda Cars, Motorcycles, and Scooters in Nepal, have initiated a CSR campaign to address the current crisis in the country. The campaign tries to manage and organize the lift giving/taking trend that has been growing in the country by freely distributing “Seat Khali Chha” badges to the willing volunteers. Through the CSR campaign, company is urging the public to help each other in every possible way, no matter how small, and to rise above one’s own worries and inconvenience to support others in need. 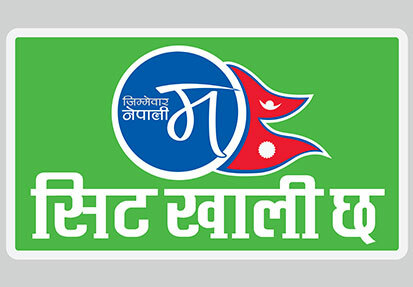 According to the company, any volunteer willing to take part in the “Seat Khali Chha” campaign may put this badge in the mirror of their motorcycles or scooters, or in the windscreen of their cars (through a hassle-free clipping method). Syakar Company has also stated that these badges for Cars, Motorcycles, and Scooters are available through its authorized distributors of Honda inside Kathmandu Valley. Furthermore, these badges may also be downloaded from Honda Facebook page for temporary usage.